This active ship is an accurate replica of the original Jeanie Johnston, which sailed between Tralee in Co. This active ship is an accurate replica of the original Jeanie Johnston, which sailed between Tralee in Co. Kerry and North America between 1847 and 1855, transporting Irish emigrants during the Great Famine. 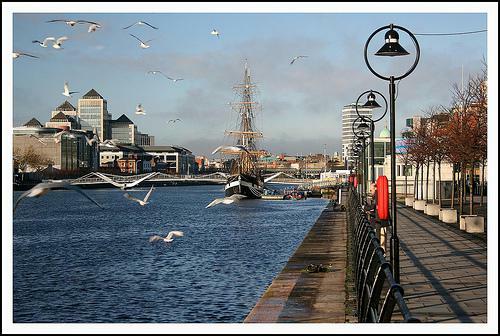 As the ship is still used for sailing it is sometimes away from Dublin so check the website or call ahead prior to your visit to ensure that the Jeanie Johnston will be at Custom House Quay. The tour takes visitors below deck to learn about some of the people who sailed on the Jeanie Johnston in the Famine years.